Liz and I were honoured to be invited to the unveiling of the Tom Petrie Memorial on the centennial anniversary of his death in 1910. 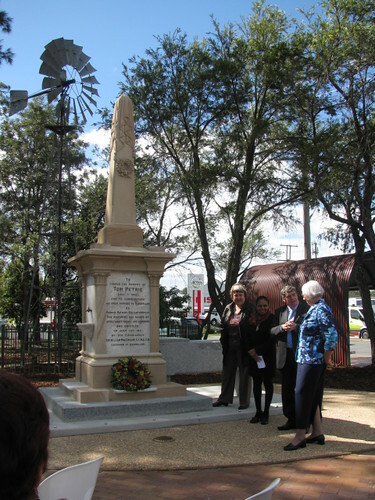 Tom Petrie was a local pioneer and agriculturalist whose sensitive and respectful attitude towards the local aboriginal people was a century ahead of his time. This photo: The memorial is unveiled.